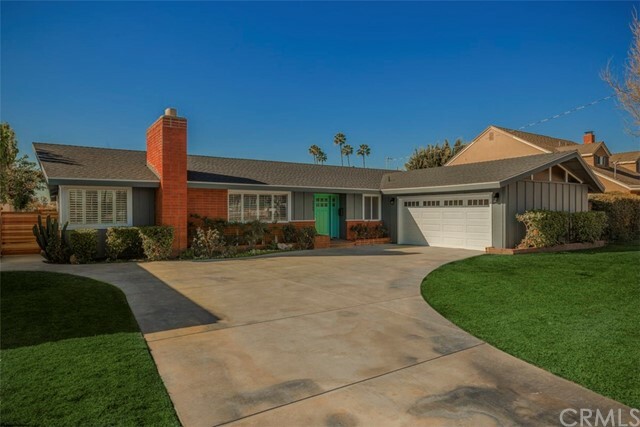 All Anaheim homes currently listed for sale in Anaheim as of 04/20/2019 are shown below. You can change the search criteria at any time by pressing the 'Change Search' button below. 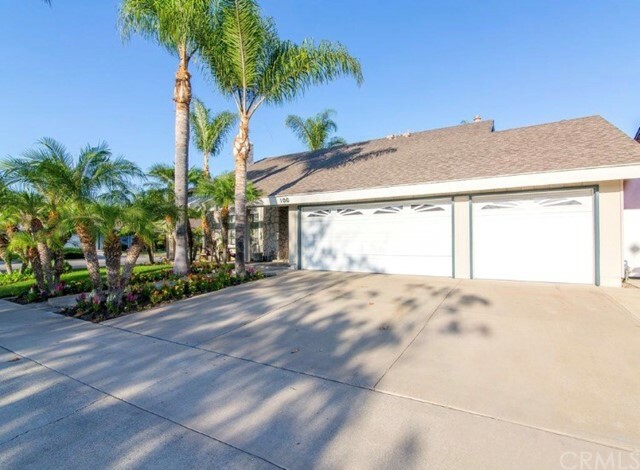 If you have any questions or you would like more information about any Anaheim homes for sale or other Anaheim real estate, please contact us and one of our knowledgeable Anaheim REALTORS® would be pleased to assist you. "Turnkey! Turnkey! This home features an open floor plan that offers great space for entertaining and dining. There is new paint, new roof, new cabinetry, new appliances and new flooring throughout. Kitchen features modern finishes and granite counters and open to family room. Large and in charge with 6 bedrooms and 3 bathrooms there is space for everyone. Roll call is 3 bedrooms/1 bath downstairs and 3 bedrooms/2 baths upstairs. French doors lead to the patio area and two single units which will be great for hosting sleep over guests or your upcoming author or painter! Beyond that is approximately 5000 sf of lot to plan a basketball court, swimming pool or maybe both! Let your creativity abound!" "An Investors/Developers Dream! 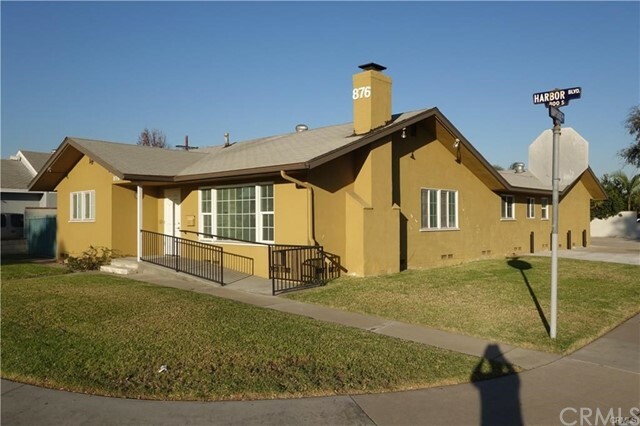 Come see this incredible 2 bedroom 1 bath home in situated in the desirable city of Anaheim. The home sits on 18,280 sq ft lot prefect for an investor/developer who would like to develop the land. The front yard is fenced with a beautiful tree shading and has a long drive way leading the garage. The washer/dryer hook ups are located next to the kitchen leading out to the back yard. Its in need of TLC. The Seller is selling as-is and no repairs will be done." "Gorgeous newly constructed home in(Oct) 2016 located in a private stellar location. Impressive features include lofty two story ceiling, double door entry, and pristine carpet flooring throughout. This elegant estate displays spacious living room and dining room area including a fireplace and views overlooking the lovely landscaped backyard. Just off the living room/dining area you can access the backyard with the open enclosed private patio space that includes another fireplace and paths to a private seating area that are tranquil and serene in atmosphere. The spacious kitchen features quality stainless steel appliances: microwave, 2 oven, fresh granite counter tops, walk-in kitchen pantry, sheen brown wood cabinets, over sized granite top island, recessed lighting, and full dining area with sliding doors to the backyard. On the first floor a private en-suite extends to a private room and a private bathroom. Upstairs, on the second main floor offers an open and spacious living/family room which gives off additional interior space that welcomes guests and visitors. Deluxe master suite includes private retreat with spacious sliding door closet that is inside the private master bathroom. Top standard shower tub and dual vanity. Also the home provides a two car garage with insulated garage exterior walls and ceiling. In the garage has a tank-less water heater and plenty of storage. The home is located in the heart of Anaheim." 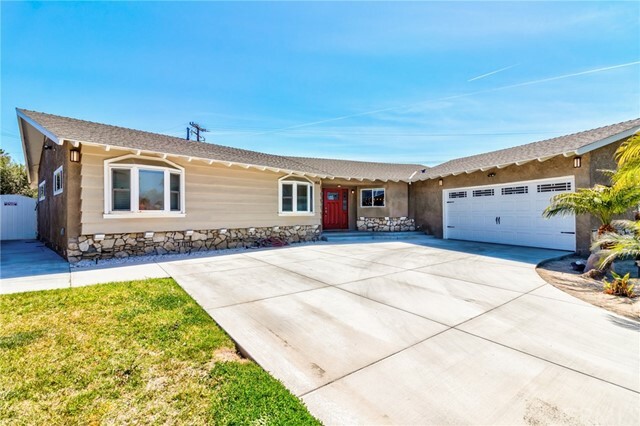 "Check out this stunning 6-bedroom, single family ranch style stunner!!! The home is spread over one level with two wings which make it the ideal home for a multi-generational family or the entertainer type. It has been carefully and meticulously remodeled and upgraded to a high standard making it the perfect hub for relaxing and entertaining. Located just blocks from Disney Land, the resort feel of this home offers a central kitchen with patio sliders opening to the swimming pool with the two wings housing the bedrooms. The remodel was designed by one of Orange Counties leading interior design firms to combine modern design with high-quality finishes. 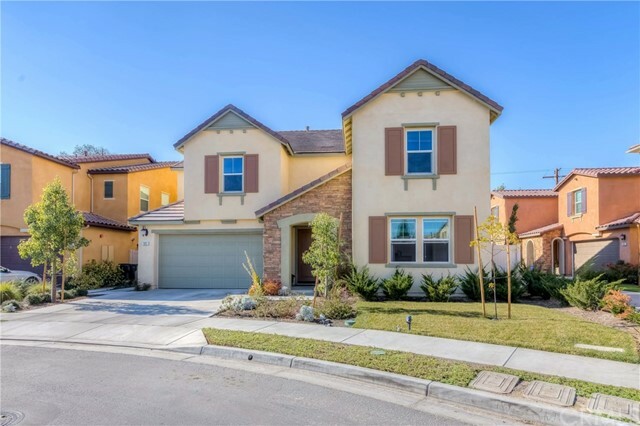 Situated in one of Anaheim s finest neighborhoods, excellent access to the 5 Freeway offer the perfect mix of convenience and tranquility, a true escape from the hustle and bustle of daily life. The 2 car garage and off street parking for at least 3 cars offer additional convenience. The rear yard houses a good sized swimming pool and low water consuming drought tolerant planting. This is one of the finest houses on the market at the moment so be sure to see it early. Designer furniture can be included in the sale at the request of the purchaser. Information is provided by the seller and is correct to the best of their knowledge although has not and cannot be verified by the listing agent or brokerage. Buyer is responsible for making their own searches and inquiries." "This stunning, canyon view, single-level home is an agricultural delight! Warm wide-plank wood floors, vaulted ceilings and modern paint colors throughout add to the elegance of the bright and open floorplan. Enter the double doors to the open and inviting living room with a cozy floor-to-ceiling stone fireplace. The living room seamlessly flows to the dining room and to the kitchen. The recently remodeled kitchen is well-appointed with marble counters and backsplash, stainless steel appliances, Wolf range with pot filer, dual ovens, wine fridge and a large center island with breakfast bar. The kitchen opens to the family room featuring sliding doors to the backyard. Down the hall, the master bedroom features an en-suite spacious bathroom with a granite topped vanity and soaking tub. Down the hall, three secondary bedrooms are generously sized and share the full hall bathroom with a luxurious walk-in shower. Enjoy the scenic backyard featuring beautiful views, abundant fruit trees and plants and a fully developed hillside with a play house and greenhouse that leads all the way down the property line." "Turnkey house and rental unit. Ready to move into. 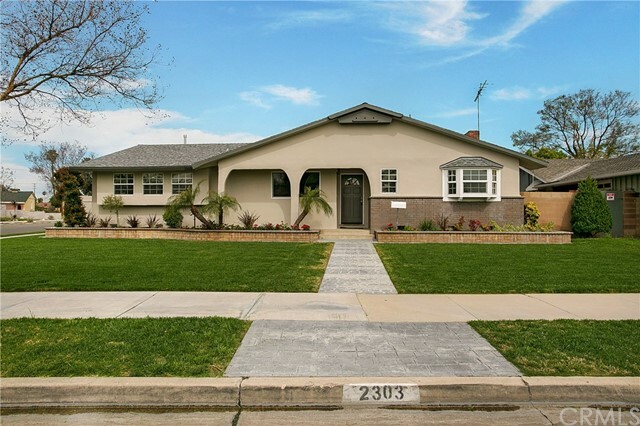 Two separate detached completely remodeled homes on one lot in the Anaheim Colony Historic District. Large front house has 3 bedrooms and 1 full bathroom with washer/dryer hookups. Rear house is approx. 700 sq. ft. 1 bedroom 1 full bathroom built in 1980. Lots of space for parking. Separate electric, gas meters and water heaters provide low expenses. Everything new and updated to current codes. Seller spent approx. $350,000 to remodel, rehab and update property. New copper plumbing, new electrical. New cabinets, flooring, granite counter tops, tile, exterior and interior paint, stainless steel appliances in kitchen, new wooden driveway gates, new asphalt on driveway, sprinkler system, landscaping. Newer roof on both houses. Live in one house and rent out the other to help pay the mortgage. Or use back house as a mother in law unit. Could also be rented to tourist looking to stay while visiting Disneyland. Close to Disneyland, Downtown Anaheim, Anaheim Packing District, Honda Center, Anaheim Angels Stadium, Cal State Fullerton, Fullerton College, Knott's Berry Farm, and many popular shopping malls. Easy access to 5, 91, 57, 22 and 55 freeways." 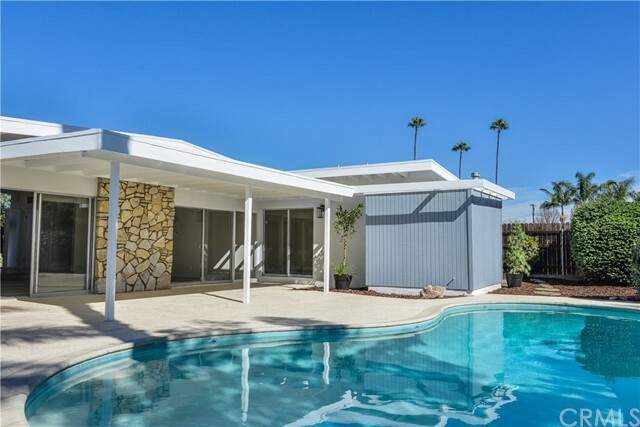 "In a unique enclave of higher-end custom homes on the Anaheim/Garden Grove border, this update of a classic Palm Springs-style 4 bedroom 3 bath Mid-Century Modern Ranch pool home is move-in ready property and an entertainer's dream. Kick back by the poolside fire pit and watch the Disneyland fireworks rise over the palm trees. Relax in the huge great room that opens out onto the backyard patio for indoor-outdoor entertaining. Enjoy preparing fabulous meals in the new gourmet kitchen with Bosch and other high-end appliances. Newly updated but retaining its classic charm, this is a home for someone who appreciates classic design but wants modern quality. New custom cabinetry throughout. Gorgeous outdoor patio in front off the dining room. The amazing master suite shower brings the outdoors in with incredible natural light. Brand new heater and air conditioning for year round comfort. Set back from the street on a 10,800 square foot lot with an easy-access curved driveway surrounded by vintage palms and other period-appropriate landscaping, this is a special home in one of central Anaheim's hottest areas, just minutes to all of the Resort District's restaurants and nightlife, and an easy drive to Angels Stadium, the ARTIC Transportation Center, and freeway access." 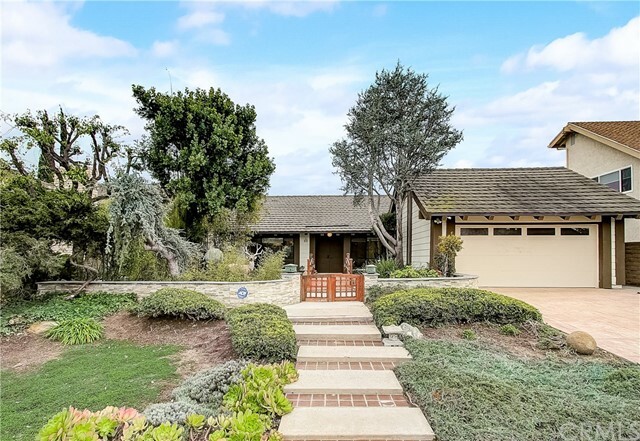 "Positioned on an elevated lot with serene views, sits this beautiful single story home in Anaheim Hills, just minutes from award winning schools, shopping and restaurants, beautiful parks, freeway & toll road access. This 4 Bedroom, 3 Bath 2,044sf home sits on a large 17,600sf lot with multiple areas of the beautifully landscaped yard to entertain or relax after a long day. The kitchen, informal dining area and living room flow for an open concept feel with lots of windows, vaulted ceiling and oversized slider that give plenty of natural light. The 3 car garage is oversized with storage galore, as well as a designated laundry area with utility sink. The newer roof and windows also add to the numerous desirable benefits of this property. Association priviledges include two pools and spas. This one is truly turn-key and ready for you to call home." "Beautiful tri-level home, recently remodeled, fresh new paint inside/out, laminated flooring trough all bedrooms, living rooom, dining room, hallways and family room, tile flooring in kitchen and all bathrooms. 4 Bed and 3 Bathroom Home, Master Bedroom with a walking closet and access to a private balcony. Family Room with fireplace and access to the backyard, indoor laundry area, 2-car garage with direct access. A few miles away from Disneyland, Downtown Disney, Restaurants, Shopping Center and more. This is definitely a must see!! READY TO MOVE-IN!!!" "HUGE HOME with HUGE LOT for all family sizes!! 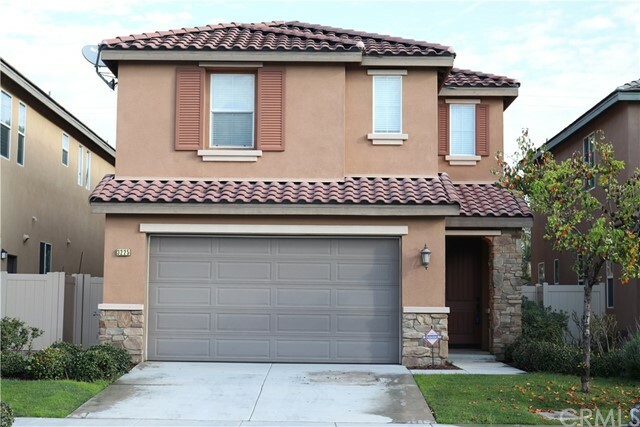 This spacious 1 story home has 2358 sqft. of living space and a huge 21,478 sqft. of land with a full tennis court in the backyard for all tennis and sports fanatics. Almost half an acre lot!!! 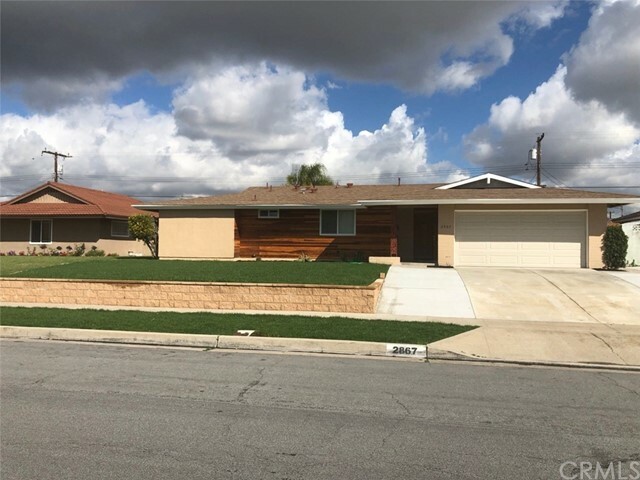 The home has 3BD and 2BA situated in a great residential neighborhood of Anaheim centrally near the 57, 91 and 5 freeway. Anaheim Packing District is just down the street & Disneyland and Century Stadium are only a few miles away. This spectacular home has wood beam ceilings, an extra large living room with a full bar ready to go, dining room, granite kitchen tops, multiple fireplaces, exceptionally spacious master bedroom and master bathroom, and best of all, this home has a gated circular driveway with can park a number of cars. MUST SEE TO APPRECIATE !! This unbelievable unique home is sold AS-IS." 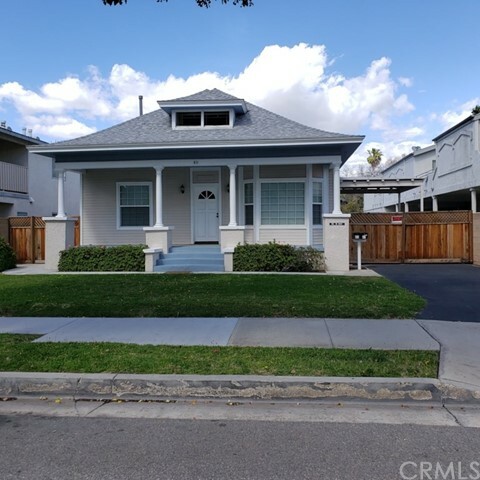 "Rarely to find a spacious & remodeled 2 story single family house with 2 master bedrooms on main floor, total 8 bedrooms, 4 baths, 3224 living sqft, lot size 11,904 sqft and long Patio at the back & side yard; many fruit trees. Remodeled kitchen with Brand New kitchen countertops, cabinets, stainless steel appliances, recessed lightings & laminate flooring; New laminate flooring throughout 2nd floor; new mini-blind for 11 windows, updated bathrooms; New interior painting throughout the entire house, closed to school, shopping and market etc..."
"Contemporary open plan living on quiet cul de sac. Classic 4 bedroom/3 bath, multi-level home features both family and high ceiling living rooms as well as spacious breakfast and dining areas. Fresh paint and new carpet throughout. Fully updated kitchen features granite countertops and brand new stainless steel appliances. Living spaces open onto covered and open patio areas on two sides of the home. Side yard features mature fruit trees and plantings. Outdoor spaces provide ample room to build your dream outdoor BBQ/bar and/or fire pit seating area. 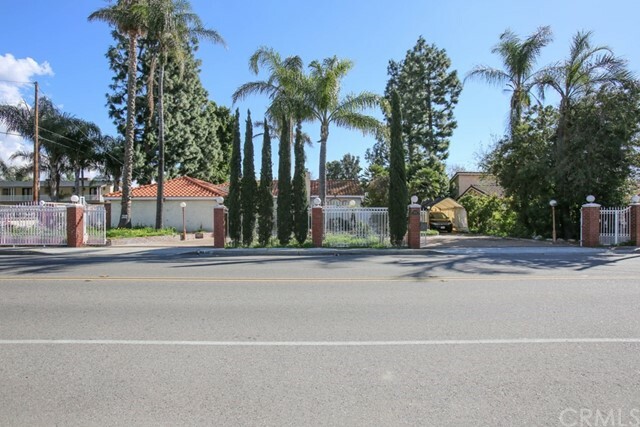 Three car garage and easy access to 91 and 5 freeways and local shopping." "THREE UNITS, 2 BEDROOMS 1 BATH EACH UNIT. Property very well maintained, looking to earn more cash or looking for owner occupy while rents from the other 2 units pay your loan. VERY GOOD FOR FIRST TIME BUYERS WHO WANTS TO LIVE IN ONE AND RENT THE OTHERS. INDIVIDUAL YARD AREAS SEPARATE LAUNDRY ROOM PROPERTY IS SEPARATELY METERED FOR GAS AND ELECTRIC ALL UNITS WITH THEIR OWN PRIVATE 1 CAR GARAGES, CURRENTLY USED AS BONUS STORAGE THIS OPPORTUNITY WON'T LAST LONG! LIVING AREA 2417 FT2"
"Location, Location, Location... 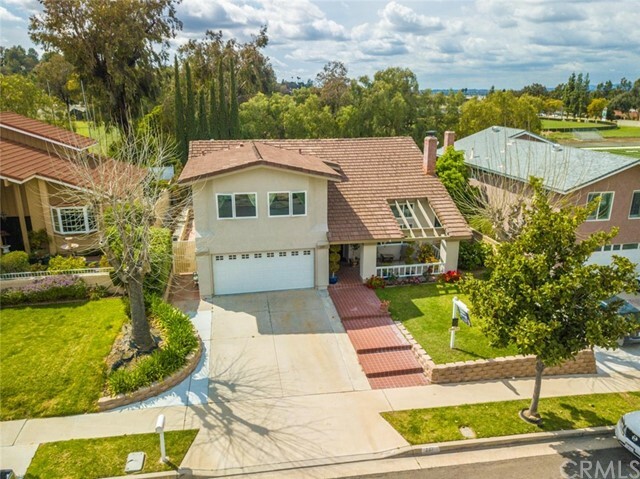 Absolutely Beautiful Anaheim Hills Home!! This property is near Everything! The home features 4 bedrooms and 3 full baths, two master bedrooms with one of them in the lower level and the other 3 rooms in the second level. It has its own private inground heated pool and spa newly plastered and tile and an automatic cleaner, perfect for this summer; the back yard also has a half covered patio and a block wall fence all around. This is a spacious floor plan, with Double door entry that leads into a family room with a fireplace, a spacious loft for entertaining, central A/C and Heat, recess lighting, kitchen granite counters, cathedral-vaulted ceilings and so many more upgrades to mention. A New Roof installed just one month ago and no backside neighbors, only a beautiful view of trees. 477sq ft was recently added to one of the master bedrooms and baths with permits. This is a must see!!" "PRICE TO SELL!!! Absolute gorgeous single story home with over 2,000 sq living space. 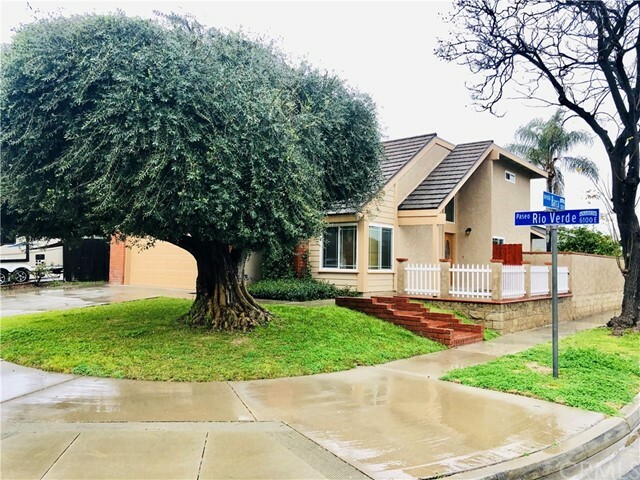 Located in the historic colony neighborhood of Anaheim, one of the finest, and homes are situated among quiet streets and immaculately kept homes. A one story ranch style situated on an over 11,000 sq lot, true classic, large backyards, and plenty of privacy. Our fully detached home feature 3 bedrooms and 2 full baths. Turnkey!! Completely renovated. New wood flooring throughout, with large picture windows allowing natural light to create a light-n-bright feel with custom blinds. X Large kitchen with new quartz counter tops, new cabinets, new recessed LED lighting throughout, new appliances, dual pane windows throughout, vaulted ceilings measuring over 8', new water heater, new HVAC system, new electrical throughout, and full copper plumbing. Possible for ADU permitting please inquire w/City of Anaheim for details. 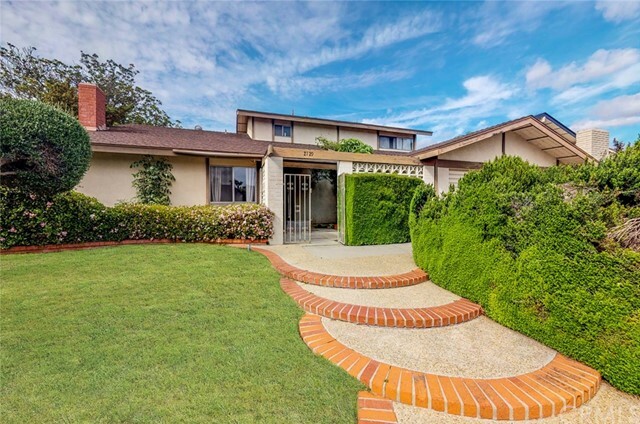 This is a fabulous home of the Prestigious Westmont neighborhood. A gem of a home and an absolute MUST SEE!!!" 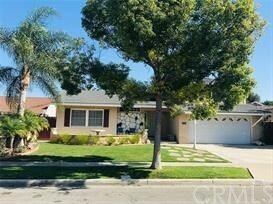 "Immaculate 4 bedroom, 2 bath, nearly 2,100 square foot POOL home located on a corner lot in highly desirable East Anaheim neighborhood. This home has been spared no expense with nearly $120k in upgrades. Open floor plan, all brand wood laminate flooring, central AC/heat, and has been freshly painted throughout. Huge living room with beautiful custom designed fireplace. Kitchen features all brand new Quartz counter tops, stainless steel appliances, new cabinets and features a huge center island. Over-sized bedrooms with all brand new flooring. Master bedroom with private bath. Both bathrooms have been completed remodeled from top to bottom with Quartz counters, new vanities, flooring, custom designed showers. Spacious backyard with sparkling pool and detached two car garage. Lot size is nearly 9,000. Beautiful curb appeal. This home is truly turnkey." "This is it! Stop your search! Newer construction built in 2012 by Melia Homes in a well established West Anaheim neighborhood. Spacious 2525 sqft of living space, 4 bedroom, 3 bathrooms, 2 car garage with direct access and driveway. First floor features formal entry to living room, great room, kitchen, full bath and bed room. Gas fireplace and entertainment center in great room can be seen from anywhere in kitchen, dining, family areas to back yard area. Gourmet kitchen features stainless steel kitchen sink, granite counter and cabinet space with a spacious center island, working light underneath cabinet, walk-in pantry. Appliances including stainless steel built-in 5 burner gas range, microwave/hood and dishwasher. Extra storage space located underneath staircase behind coat closet. Upstairs featuring bonus tech room area and additional living room area. Spacious Master bedroom with walk -in closet and full bathroom featuring lots of counter space, dual sink vanity, and soaking tub separate from shower. All upstairs bed rooms featuring walk-in closet, 9 foot ceiling and recess lights. The laundry room is located on the second floor with laundry sink and extra cabinet spaces. The neighborhood conveniently located near all local shopping center's, restaurants, wordship centers, hospitals, Knot Berry Farms. Current assigned schools: Twila Reed ele., Orangeview Jr. High and Western High along with award wining Oxford Academy. Please see it today!" 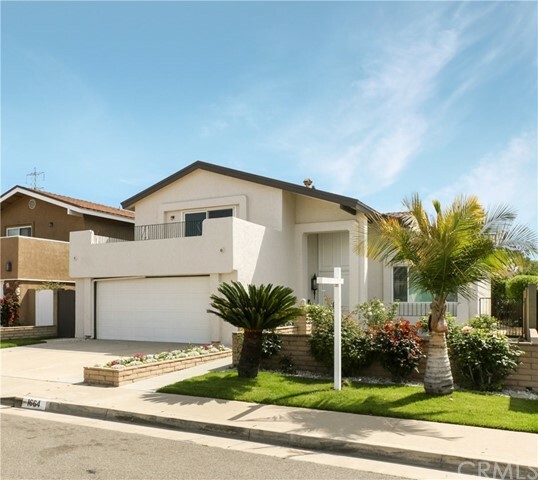 "Beautiful, turnkey home located within a quiet, highly sought-after neighborhood of Anaheim. This lovingly maintained home offers a sparkling swimming pool and spa. Close to great shopping, restaurants, and award-winning schools. The open floor plan offers spacious living throughout. Ample windows give this home an airy feel with lots of natural light. The kitchen offers new granite countertops and tile back splash and opens to a family room with cozy fireplace and dining area. The home has plenty of space for lounging and entertaining. Three bedrooms offer plenty of space for family, guests, an office, etc. Enjoy the backyard paradise, which offers a BBQ island, lovely grass, built-in fire pit, and a swimming pool with bubbling spa to ease away the day's stress. This outdoor space gives plenty of room for outdoor dining and pool lounging. 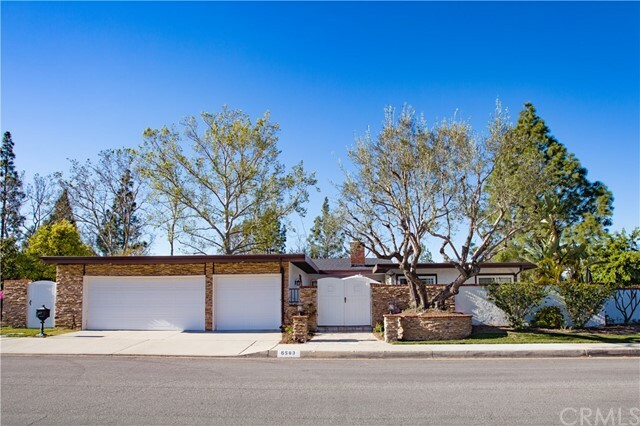 This remodeled to perfection house is ready for you to call it HOME!" "Great Opportunity. Hard Corner, Free Standing Building, Commercial Office. Prime Location near Disneyland, Downtown, and Packing District. Easy Access next to 5 Freeway. Building has unpermitted tenant improvements with code violations - currently in plan check. Buyer to assume property AS-IS." "PRICE REDUCED,PRICE REDUCED!!! This is the perfect resort at home property that you have been waiting for. Property is completely remodeled inside out and ready for new owner. Property consists of 4 bedrooms, 2.5 baths, 2,189 sqft living footage; property features: central AC, central heat, fire place, living room, family room, and formal dining room. Well landscaped backyard also offers in ground pool, spa, and built in bbq area for family entertainment. Property is conveniently locating near Disney, shopping centers, restaurants, freeway 91,etc..."
"* You can see fireworks at Disneyland almost every day from 2nd floor balcony. * You can walk to the bus stop at Disneyland for 15 to 20 minutes from this house. And this bus goes to LA airport." 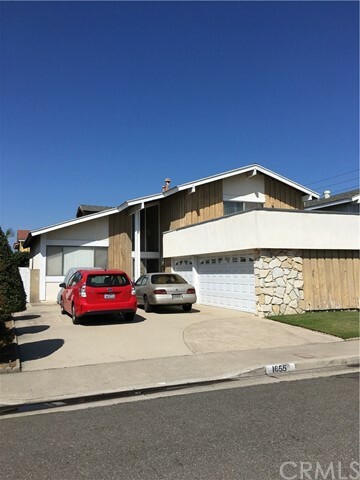 "Great Anaheim home located in a upscale quite neighborhood! 4 large bedrooms and 3 bathrooms. Huge front room/dining room with inviting fireplace, nice family room off the kitchen, Step outside to a wonderful Patio area, Pool and Jacuzzi! Central A/C and heating. Large laundry room, 2 car garage. 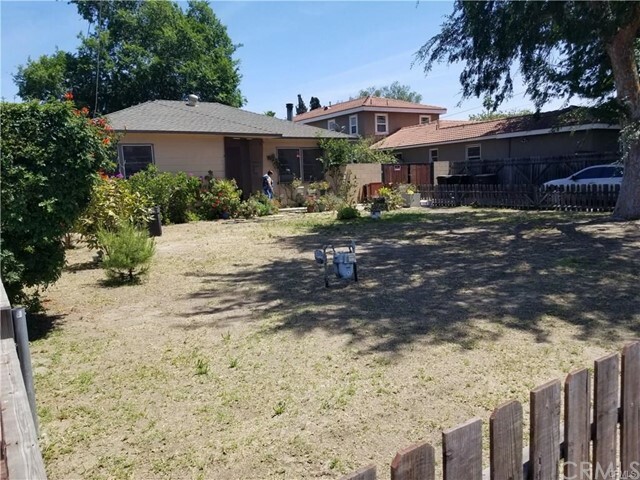 This home has so much potential, add your own touches to this awesome property, sits on a 7,300 sq ft corner lot, within close proximity to shopping, schools, freeway access, as well as a short drive to Disneyland!" 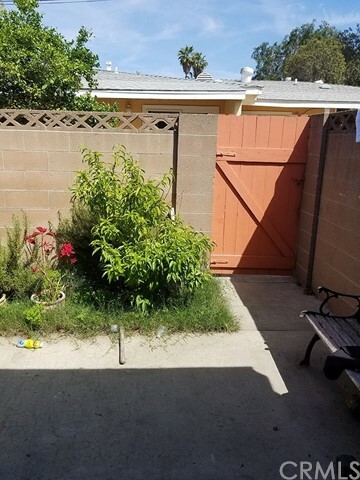 "Beautiful 2 story 3 bedroom 2.5 bath house in a great neighborhood of Anaheim, ready to be enjoyed. Large family room and living room with fireplace. Big master bedroom with walk in closet. Central air, heat, spacious kitchen that includes granite counter tops, marble flooring though out. Bedrooms have all wood flooring." 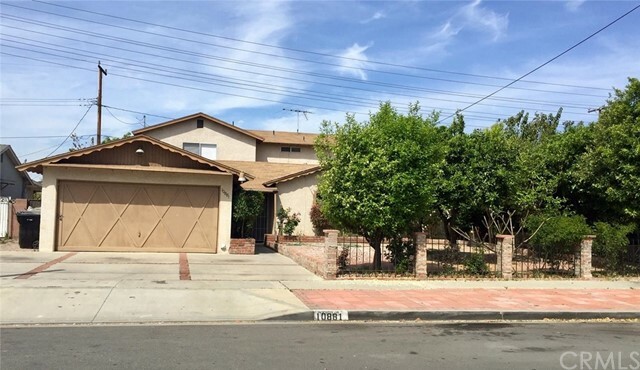 "Welcome to this Gorgeous Open Concept 5 bedroom and 2 full bath home with the flavor of modern ambiance, in East Anaheim located next to the Anaheim Coves Trails. 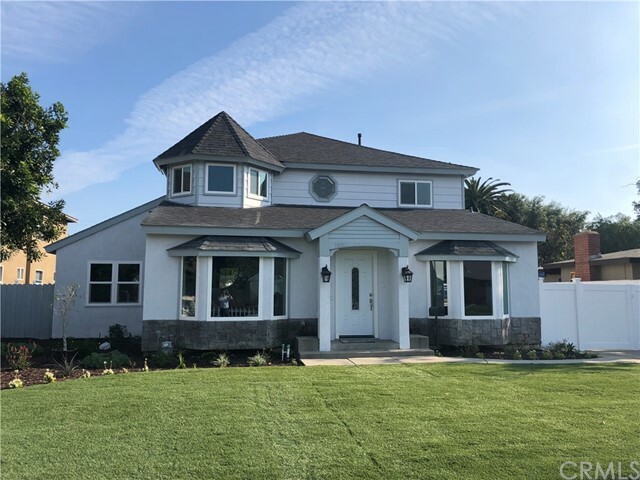 This beautifully remodeled home featuring a chef's dream kitchen with brand new custom cabinets, quartz counter tops, 36 fuel and electric Range and S/S appliances. Large Family room with modern gas fireplace and large dining room. New Porcelain and laminate flooring and Crown Molding. Brand new cooling and heating system, new dual pane vinyl windows, Sliding doors, interior doors and new Blinds. New Plumbing and most Electrical wires and Spot Lights through out the house. New modern Bathrooms with Frameless Shower Doors. This Open Floor plan connecting the kitchen and living area is perfect for holidays and family gatherings. Big backyard and covered patio ready for entertainment. Conveniently Close to Everything, short distance to Award Winning Schools. Be sure to put This Home at the Top of your To SEE List...You will Not be Disappointed."